Thanks, Kent, it was great! Thank you so much! Sorry we didn't get the chance to meet up at the fest. I really had a great time and the fans were really great ... it really felt like a family get together. We did an acoustic set Sunday afternoon. Peter Asher hosted it and it was really great with Glen Bertinect on bass and Joey Molland, Mark Hudson and the legendary Albert Lee on acoustics. We played skiffle and Buddy Holly, Eddie Cochran, Jerry Lee Lewis, The Everly Brothers and Cliff Richard's first hit "Move It". We jammed out anything that came into our heads. It was great fun there's a short piece of me on Facebook singing "Move It". I think the fans really enjoyed it ... I know that I did! I hadn't sang those songs since I was a kid when I started out in Liverpool! Hope to meet up one of these days. I'm really looking forward to the Billy J. Kramer articles. You do so much good for the true classic rock arena with the utmost modesty and integrity. I'm diggin' the whole Billy J. Kramer interview. What I like about your style of interviewing is that it's not just a bunch of hard line questions ... and more of a conversation. While it seems very well thought out on your end, it also comes across as completely natural, just like two old friends talking. You really do have a style of your own when it comes to this sort of thing. I have always loved the song “I’ll Be On My Way”. I have it on the BBC recordings (both obsolete cassette and cd) by The Beatles as well. Did I hear “it” at the end? I heard a beautiful harmony of notes, but could I tell you it was Paul McCartney? Or that it wasn’t Billy? Nope. I have so enjoyed watching Billy at concerts lately and hope to see more. Finished his book, which he autographed for me at NY area Fest For Beatles Fans. I think I was first one to have him sign it that Saturday. Oh, and they finally ran a scientific survey and found out that people who attend concerts on a regular basis lead happier lives. After Billy added the "J" to his name (at John Lennon's urging), it became sort of a running gag ... George Harrison started referring to himself as "George J. Harrison". I think it still sounds cool! I really enjoyed your first segment of the Billy J interview and look forward to the next two! Here's a history lesson I wrote earlier this year on Billy J. ... "I'll Be On My Way" is indeed a keeper. Great song that The Beatles (and manager Brian Epstein) gave to Billy J. Kramer along with "Do You Want to Know a Secret." This two-sided winner reached #2 as Billy's first hit in UK in June, 1963. Even tho Capitol would not take Beatles songs in '63, Capitol's subsidiary label Liberty DID release the same sides here in the US on 45 in JUNE, 1963 ALSO!!! It was a flop and the fabs own version would be a hit within a year. "I'll Be On My Way" would surface later in August 64 as the B side of the UK hit "From a Window," another fabs song and AGAIN as B side of 1965 chart hit "Trains Boats & Planes!" Even stranger, Liberty issued 1963 fab written singles of Billy's of "Bad to Me / I Call Your Name" (Sept), "I'll Keep You Satisfied" in November and AGAIN, in January, '64 after the invasion, "Bad To Me," backed with "Do You Want to Know a Secret," which was not a Beatles 45 here yet. ALL of these failed these early times. In March, "Little Children" failed as an A side and was pulled back from release. FINALLY, a label switch to another Capitol subsid of Imperial Records came! In April, "Little Children" became a B side to "Bad to Me," probably because it was NOT a Beatles song. Even that did not work. However, stations jumped on the non-fabs side and "Children" became Billy's breakthrough hit in the USA. As it was reaching #8, "Bad To Me" began making noise and charted at 71! "Children" peaked at 7. BOTH sides were in the US top 12 (#9 and #12) on June 27. Between the two sides, the single stayed on the Hot 100 for 22 consecutive weeks beginning when "Can't Buy Me Love" was in its 3rd week at #1 and ending when "A Hard Day's Night" was in its 2nd week at number one!!! From there, the re-release of "I'll Keep You Satisfied" hit well and the last Lennon / McCartney song Billy recorded was "From a Window." In the UK, most all of these songs were top 10 when released at the time the US first singles on Liberty were out. Thus, "Bad To Me" was #1 in the summer of '63 and "Little Children" #1 in early 1964 on separate 45s. SO, in just over a year, 7 Beatles tune 45s were released here in the US on 45 between June '63 and August '64! Talk about pending Kramer-Mania!!! Confused??? 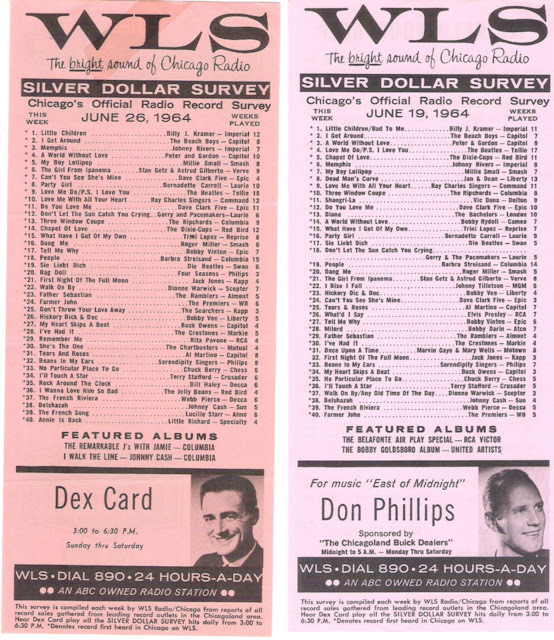 Attached is the WLS surveys for the two weeks Billy J's TSW was #1 in Chicago. As you will see, the record reached #1 first with both sides and then just "Little Children." Even tho you said you first heard the song on WLS in May, 64, you likely did, as "Little Children" first charted there in May, but reached #1 in June. I've also attached a couple of snippets of both songs as played on the Big 89 that year of '64. Altho I taped these off KOMA in OKC because WLS was harder to get at that time of year, my buddy and FH member, Ed Erxleben, managed to grab both with his mic and reel to reel recorder. First hear both your and my Silver Dollar Survey host, Dex Card, playing "Little Children" at Christmas time, 1964, when, like every year, they would recap all the hits of the year for a week. In 1965, they started putting out surveys to coincide showing the top hits of the year, but in 1964, they had not started doing that yet. Nonetheless, this 45 would have likely been in the WLS top 20 of the year, had they done so. Dex even mentions that you will remember this one! He'll even say his famous moniker, "Dex Card, the crew cut fellow in the first row." On the attached, Ron Riley plays the other side of the Two Sided Winner. Riley will mention that it's a "Saturday night smoochin' date night in Chicago" and uses HIS moniker of "Ringo Ron Riley." What memories!!! I am really enjoying this week's interview with Billy J. Kramer. I know people may be mad at me for saying this but I have to say it. They should have found a way to protect the artists from having their material downloaded and I think the big guys like Billy Joel and Paul McCartney and Dave Grohl and Elton John and The Rolling Stones should have formed some kind of company to help the cause and keep great music alive. I think Richard Branson should do it instead of making rockets that can give rich movie stars seven minutes of weightlessness. I also think the fact that people can take an artist's photos and music and put it on youtube no matter how bad the quality is. We don't have any protection. Show Business is the least protected industry. I just think they may think it's cool but it's disrespectful. Artists work so hard making good music and it should be heard at its best . If something isn't done soon, the youth of tomorrow won't have the great music of the past sixty years to inspire them. I am sure I may be called a boring old fart but I really care about it. Today we bring that interview to a close ... I hope you have enjoyed our efforts. BJK: After Brian died I went on to host a TV series in Manchester for about a year. I worked with various bands over the years. I worked with a band called Late, and it was very appropriate because they always were. But they were a very good band and I'll be honest with you, they worked very hard for me and they did quite a few gigs with me and it could have paid off but I got a lot of overseas commitments and they got a record deal with Atlantic so we … we stayed friends but we went apart. And I've just worked with a lot of different people over the years … a lot of very good musicians. kk: Do you still keep in touch with any members of The Dakotas? BJK: I keep in touch with The Dakotas - Mike Maxfield is not in good health so I call him up and see how he's doing every once in awhile, but unfortunately like Mick Green, who was in the band for awhile and was a GREAT guitar player, I think he never got the acknowledgement that he deserved but I first saw Mick with Johnny Kidd and the Pirates and I think he was about 16 or 17 and I thought to myself, "If ever I get the chance to work with him, I'm going to!" And one of them left, the bass player, and I said, "Look, it's none of my business guys, but why don't you hire Mick Green?" and he was a phenomenal guitar player. But funnily enough the only record he played on that was a hit was "Trains And Boats And Planes". But we did a lot of rock stuff on the road together and I'm sorry that he passed away so early. kk: You were part of something very big and very special ... and as I said before, NOBODY at the time thought this was going to last … and now it's 50-something years later and you're still playing to a full house doing those same songs … who had ANY idea that it could happen with this kind of life to it? BJK: Longevity, yeah, it's amazing … and I still at times can't believe it. I’m very grateful that I have lasted a long time … I will say that I've been blessed, first of all with good health and that's why I've been able to continue. kk: I'm always curious … when it's going on, you're kind "in the moment" and you're kinda just livin' the life and that's the life at that moment in time … in hindsight I'm sure you look back with a lot more appreciation … but did you really have any idea just how huge the scope was when all of this was going on? BJK: No, I didn't … no I didn't. The funny thing is, you know, Liberty DeVito plays drums for me now and he says "We missed it, Billy", and I said "What are you talking about?" and he said, "We never looked at us." You know what I mean? We were part of it … we were playing … and to me, I was just like "What's going on?" kk: But it is … it's like you're in the moment … and that's just normal life for you at that moment in time. BJK: I also wasn't foolish … I mean, in my head I was always wondering "What am I going to do when the screaming stops?" and what I was going to do was be a good singer and a good performer and try and develop and I don't think I've done an especially good job. kk: Oh I don't know about that … the fact that you're still up there performing all these years later and people are still coming out to see you proves that you've developed a craft that people still want to see and have deep affection for. BJK: Well, you know, I really, believe or not, I get more appreciation now … I feel it more, you know? It's really nice when people come up and say "We saw you with so and so and so and so you were great, and you did a great show tonight, thank you for the music … it really gets to me, you know? kk: It's funny, because just doin' what I'm doing now, it still amazes me that I get to talk to some of these artists who I grew up just LOVIN' their music … you guys were somewhat unapproachable then … it's great to be able to look back at it now, knowing that it had an effect on all of our lives and to just be able to say "Hey, I really appreciate the music that you gave us … I loved it then and I still love it now … I bought all the records and I still listen to all the records." BJK: (getting a bit choked up) It makes me feel … it makes me feel on top of the world … it makes me feel really … it gives me a better sensation now than what it did while it was happening. And I really and sincerely hope that the people that are starting in the business now … I don't know that they're going to get … I don't know what's going to happen to them really. kk: Yeah, it's a lot tougher out there now to break into this business and make a go of it … and the music is available through so many sources … you can't make any money at it … you've got to go out and tour because that's the only way you can make money as an artist today … and, if you're successful, maybe through merchandising. BJK: Well, to me, to get a standing ovation is something that you have to work for. Sometimes they come easy, sometimes they come hard. But it's the biggest compliment you can have. And it makes you feel good … and then I feel good about myself. It's very rewarding … because then it was worth the effort. When you hear that song of mine, "From Liverpool With Love", it's got the words "If you were to ask me to do it all again, with all the good and with all the bad, I would." Without a doubt, without question. It's what I love to do. kk: You were one of the artists selected to perform on The T.A.M.I. Show back in 1964 ... certainly this had to be a career highlight ... tell us about that experience and some other milestones that really stand out for you. What are some of the career highlights? BJK: The highlights? Well, I think one of the highlights was watching The Stones follow James Brown. BJK: Because the whole show, we got to work with like Marvin Gaye, who I was a BIG fan of, and a lot of the other artists … I was a fan of ALL the artists that were on it … and I saw James Brown go on at the top of his game and blow the roof off and I never saw anything like it … and I felt so sorry for The Stones … it was a bit of an embarrassing situation. kk: It was an amazing performance … an absolutely amazing performance … and it still plays that way today. BJK: James Brown was unbelievable. And they were all just very ordinary … I remember playing cards with them in the dressing room … grabbing hold of one of The Dakotas' jackets and saying "You can't go on stage like looking like that … you've gotta crease and iron it" … and stuff like that … it was tremendous. That was a highlight … and another highlight, believe it or not was I came to live in America and then I went back to England and I did about eighty shows and I finished at The London Palladium and I thought The London Palladium was like to me, like this roast, and it stuck with me and I was kind of afraid of it but I felt like I went back and I felt that I had conquered it … so that was a big highlight. kk: Well it was a very exciting time, no doubt about it. BJK: It was a GREAT time … and I just met so many people … and worked with such great artists … I loved Roy Orbison and I worked with him … I just wished he would have lived because I would have loved to have see The Wilburys live. kk: Oh, can you imagine? That would have been amazing … amazing. BJK: It would have been amazing, I think. kk: One thing I have to tell you about the book … and I guess I should ask you first what prompted you to write the book? Is this something you've been kicking around for a long time as far as telling your story? What kind of got you into the idea of writing the book? BJK: I started about three or four years ago to make some notes and I'd been to Santa Fe and I came home and I sat where I am now and I wrote the song "To Liverpool With Love" because I thought the 50th Anniversary is coming up … and I thought that The Rock And Roll Hall Of Fame had been terrible to Brian Epstein … I think he should have been in it and I wrote the song "To Liverpool With Love" and I had the idea for the song and I just started writing it at home and my wife said to me, "That's catchy." And I then recorded another song called "Sunset For Santa Fe" because you know that I love Santa Fe and it was right about this time that I thought maybe I should write my autobiography. And then I was in California and I bumped into Frank Stallone and he said, "It's about time you wrote YOUR book, Billy" and I said, "I've been thinking about it but I want to find somebody good" and he said "Well, I tell ya, I know Alyn Shipton", who wrote the Harry Nilsson book and I said, "Do you think that he'd be interested?" and he said "I'll give him a call". And he did and then Alyn called me and Alyn came across to the States and we got together on a number of occasions and then we did stuff on Skype and stuff on the phone and then I did some when I was in England as well. It was difficult … I'm glad I don't have to do it again! BJK: And I'm glad you liked it. kk: I really enjoyed it … and one thing I've got to tell you because you're probably thinking "Well, I'm telling my story … but I'm not really a writer … and I wonder if it's any good" and I just have to tell you that the way you so described Santa Fe in that book just blew me away. I mean I've never been there and just reading you describe it made me want to go there so I could see it for myself. I have to say you put it in the most majestic words and it was like a travelog and it just sounds gorgeous and somehow, someway, someday, I would just LOVE to go there to see it … it sounds so peaceful … and I the only way I can convey how deeply that struck me is to tell you that you vividly and perfectly described it in the most descriptive way. BJK: Well, thank you, thank you … I'm very honored that you should say that … and it's just a place that my wife and I found together and we get the same feelings about it every time we go. It's the Land of Enchantment. kk: And I guess that's what I'm saying … you may not think of yourself as a writer but all I can tell you is that what you wrote absolutely touched me and made me want to see it for myself … so you absolutely drove that point home and I tip my hat to you because that was very well done … very well done. As a guy who writes a lot, you always hope for some type of connection with your readers, your audience … and you touched me with the way you describe Santa Fe in your book. BJK: Well, I think you'll like the song as well, if you haven't heard it. I'll send you a copy. People can still get the CD … it's on my website and so is the book. I had a great time making it after so many years. The song on my cd, "Story Of My Life", was covered here by Michael Holiday from Liverpool. It was number one. I can't remember the original but I did it as tribute to a really good singer who never got the recognition he deserved and it was a Burt Bacharach song … one of his early songs. kk: Most of the early hits (through about 1965 / 1966) are readily available on CD ... but you've continued to record throughout the years and have released brand new material as recently as a few years ago. Most of this material is out of print now I would imagine … how would fans go about discovering this music? Is any of it available through your website? Do you perform it in your shows today? BJK: Yeah, right … it's tough to get … but you can order the new CD "I Won The Fight" through my website. kk: Let me ask you a little bit about some of the singers that you were inspired by growing up … who are some of your favorites? Back in Britain there was a lot of "cabaret" ... and I get the impression somewhat that, from the stand point of longevity of a career, you actually may have thought about pursuing that avenue for extended success ... but who were some of the singers who first influenced and inspired you to become a singer? Was it mostly the American rock and roll artists? Had you even thought about becoming a singer before then? And who were some of your favorites? BJK: There was a boom in cabaret … there was a circuit called Baileys and a lot of similar clubs all over the UK where people dined and gambled and danced and they where good places to play at. It wasn't your typical Cabaret as most of the artists just did what they did on a lot of other gigs. I just did my hits and any other material I was into at the time and they were very receptive and a lot of them who saw you there were still in their teens. When I first started I did chart stuff like The Everlys, Chuck Berry, Fats Domino, Jerry Lee Lewis, Rick Nelson, Del Shannon and mostly American artists. I loved Bobby Darin and a lot of the people I mentioned like Gene Pitney, Roy Orbison and Marvin Gaye … and later on, Otis Redding. I loved Nat King Cole. 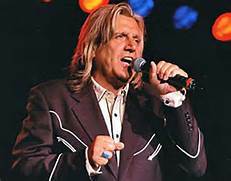 I did a few Billy Fury songs, who was very popular in the UK … Marty Wilde … but my favorites were Eddie Cochran and Buddy Holly. I did Ray Charles' "Hallelujah I Just Love Her So" and some standards we rocked up. Emile Ford was an artist here and had a big hit with 'What Do You Want To Makes Those Eyes At Me For", for which I sang in the dressing room on my last UK tour with Adam Ross, who recently passed. It's on my Facebook page as a tribute to a great person. As a kid I liked some country like Hank Williams, Webb Pierce, Red Foley and Earnest Tubb … Frankie Laine … Johnnie Ray … Marvin Rainwater … Sanford Clark, Jimmy Duncan and The Blue Grass Boys. 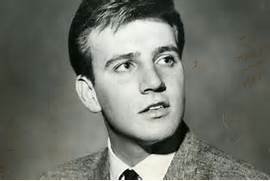 I liked Johnny Burnette, Dion, Jackie Wilson, Patsy Cline, Buddy Knox, Sam Cooke, Major Lance, Nina Simone, Peggy Lee and Elvis … he had it all … the looks … I never hear anyone saying what a great singer and a fantastic performer he was. I also did things like Bobby Head's "Treat Her Right and a lot more I can't remember … it was a long time ago. kk: I was fortunate enough to see Elvis perform here in Chicago a couple of times … of course it was in the '70's so it was his Vegas act … but there was still something magical about it. The first time he walked out on the stage it was electric … you could feel it go through every body in the auditorium … there is really no way to describe it … just a genuine electricity … and lots of critics have written that Elvis sold out there at the end and he couldn't really sing anymore … but I'll tell you what, he sure sounded great that night … something I will never forget. kk: Now you’re going to be in Chicago later this month for The Fest For Beatles Fans - you've done quite a few of these appearances now - what's that like for you, meeting with fans of this music, a great majority of whom weren't even born yet when these records first came out? BJK: Oh, I love it, you know … and you'd be surprised at how many people come to see you again and again … it's a very loyal audience that attends these things. kk: Well, I'm hoping to be able to meet up with you there. Now you'll be signing copies of your new book … but will you be performing there as well? BJK: Yes, yes I will. kk: Is there anything else that you would like to say to the fans before we wrap this up? BJK: I just want to say a big thank you. That's all I can say. I've had a great life thanks to all the people out there. There's been good and there's been bad but the fans have always been there for me. I hope to see you there at the Fest and it's been a pleasure talking to you. kk: And you as well … thank you again for taking the time to do this. BJK: Oh didja? Well, thank you. kk: But I guess I never really thought about what it would be like, knowing that you were THERE at the time, to see some of these Beatles tribute bands that are out there performing today, some fifty years later … that dress up like The Beatles and go out and do their songs and everything else … and I never thought about what that must be like from your perspective to have been there at the time, seeing it all happen. BJK: Well, my perspective is, I think that there's not a bigger compliment than somebody copying you. But I think if people are going to do it, they should do it well … and a lot of them don't. And the thing is, the idea of how big and magic that era was, it's hard to get it down. I mean people will say, "Well, I never saw the real Beatles so I'll go see these." And I always tell people, "If you didn't see The Beatles at The Cavern, you never saw them. People just saw them on Ed Sullivan in suits and all the rest of it, but seeing them on a local scene in Liverpool was totally different, ya know. It was very exciting working with them and touring with them but the most exciting time for me was before I really started myself and I used to just go and see them. kk: I know that George Harrison has said in the past that the best that The Beatles ever sounded, the best they ever were, was in Hamburg because they just hammered it out every night for eight hours on the stage and honed their craft. BJK: Well, you know, it's one of those things … they played in Hamburg so much and bands just get tighter and tighter the more they play together. And I've seen it myself sometimes. Before I do a tour, I usually use the same players and I usually rehearse a lot but I still feel like half way through the tour it just starts to get better and better … like in England for the first time in a long time I did 45 shows and it we just got tighter and tighter the more we got into it. We did like 45 shows in fifty days, ya know, which is quite a haul … but I loved it! kk: It's great that there's still this much affection for that music and quite honestly I think that England favors rock and roll far more than we do here in The States … they have a much deeper appreciation for a lot of these songs and these artists and they have stayed very loyal to it all. BJK: Yeah, they've stayed very loyal but they're also into soul stuff a lot more and a lot of variation … they're supportive of the '60's, obviously, but I think the audiences here are amazing, too. I'm amazed by the fact that I've been living here as long as I have and doing these tours for as long as I have, and these Beatlefest sort of things, and I see these people come back to see you again and again … and to see the same people come and see you year after year is a great compliment. I've had a wonderful career doing this. kk: Well, the Beatlefests, now that's a pretty loyal audience … but I'm sure you've noticed, too, that it's a younger and younger generation that's discovering this music every single time it comes around … so this music is crossing over and being enjoyed by several different multiple generations now … because it's just such good music. BJK: Yes, because it's obviously being handed down from their parents and I'll be honest with you … I remember that I used to feel that my two sons, I wasn't always doing what they were into and then suddenly I remember I took them to see The Fab Faux in New York and at the end of the night, my oldest son said to me "You know The Beatles were the greatest, dad", which he'd never complimented The Beatles before but at the end of the evening, that's what he said to me. kk: The Fab Faux are great, you know ... they don't try and BE The Beatles ... they just go up and recreate the music, and they do a great job of doing it, so it is more of a tribute to the music than an imitation. They don't look like The Beatles ... they don't even TRY to look like The Beatles ... but they're incredible musicians who perform amazing versions of their music ... nearly perfect reproductions. If any of our readers have never seen them, go over to YouTube and check them out ... the musicianship is just astounding. BJK: There's been a lot of great bands, a lot of great '60's bands, but I also think we owe a lot to The Beatles … I think they all owe a lot because they brought a lot of joy for all of us. It's very difficult to break in America … ya know, Cliff tried it and never really succeeded but I don't think I could have had hit records here in The States and done the stuff that I've done had it not been for The Beatles. kk: You know, I didn't realize it until I read your book that you actually came over here to America first, before The Beatles did, with Brian, just to kinda test the waters and see what was going on out there and see what kind of reception they might receive if they came over here to The States. BJK: Well, I think they had the kind of image that would sell in America and catch on at the time and I felt that Brian and I met up with a lot of people and I had a lot of Beatle records and photographs and things, newspaper clippings sort of things, and I always felt like the reception was kinda lukewarm but I did warn them … I warned a lot of people that they were about to come over and break the place apart. kk: I interviewed Tommy Roe a couple of months ago and he toured England with The Beatles as the opening act, right as they were really starting to make it, about a year before they hit it big over here and he knew … he said that it was so obvious … he knew how big they were going to be and even tried to get his label to listen to them and sign them up, and they weren't interested ... they just didn't hear it. But even that being said, I don't think that ANYONE could have EVER predicted how big they actually became. I think everybody understood there was something special about them, they were outstanding, but I don't think anybody could have ever predicted just how big it would actually get. BJK: I said it in my book that I knew that they'd be big. Funnily enough my first national tour in England was with Tommy Roe. kk: Oh is that right? BJK: And I remember I came over and I did The Ed Sullivan Show and I did a week at The World's Fair and then I went to San Antonio and Tommy had just been inducted into The Army and he came to see me … so he was great to work with. I also loved to work with Gene Pitney when he came over. I was a big fan and got along very well with him … most of the guys, there's not a lot of people I didn't enjoy touring with … if you're into the music thing, you've gotta be good. kk: And that was the day of the big package tours when you'd get on the bus with seven or eight other performers and spend a few weeks out on the road with these guys and from I hear, some of these guys were doing two or three shows a day sometimes. BJK: Well the package tours I did with Tommy Roe and Gene Pitney, we did two shows a night and the tour I did with The Beatles, we did two shows a night. But they were GREAT days, you know. With The Beatles, actually, I also did WEEKS at some theaters in certain towns and cities in England, which is pretty amazing. I don't know how I got out of there alive! It was SO crazy! kk: Going back to the early Hamburg days for a moment, it struck me as kinda funny that back in the early '60's, before they'd made it or signed with Brian Epstein, John Lennon asked you one time after a performance "Where's the show? Where's the show?" And so after that little bit of nudging, it prompted you to go out and get the gold lame' suit and the country and western bow tie ... and it made me laugh because at that time Lennon and the rest of The Beatles (which back then still included Pete Best and Stu Sutcliffe) were dressed in black leather and jeans, smoking and drinking and eating on stage! BJK: Yeah, but they were still into rock and roll … I mean, I don't know if they did it for a laugh or they did it for my hygiene but it all worked out, ya know, which I thought was a hoot. BJK: Yeah, it's amazing how these things happen … when I did "Do You Want To Know A Secret" it was just John sat at the piano he played it thru and we rehearsed it and then we went thru it with George Martin and I never thought of picking up the lyrics or, of course back then there wasn't a tape yet, but I mean I never even thought about it, you know. But like Robin MacDonald [one of the guitarists for The Dakotas - kk], I think he kept a demo of like "Little Children" … at the time I thought it wasn't a very good demo so what did I want it for? The writer, who sang pretty awful … and played piano pretty lousy … but we never thought of things like that. kk: You know, that's one of the things that I wanted to ask you … A record like "Little Children" … here in The States that came out on a single with "Bad To Me" on the B-Side … and these were both #1-worthy hits … but they got paired on the same record here in America. What was it like to see hits you'd had a year earlier in England climbing the charts again here in America a full year later once we finally caught up to what we'd been missing. That had to be a little weird in that by then you'd already moved on to new songs and styles. BJK: I know … and I think "Little Children" might have gone to #1 … but then people started playing both sides and I can't complain because it was a Double A-Side that both made The Top Ten. BJK: It came out because I just wanted to get away from the Lennon and McCartney thing at a time. I think it was due to the fact that I had just did the Palladium very badly and my record sales went down the drain and I really wanted something special and I always wanted a career doing my own things … I mean, one of the first things Brian Epstein ever said to me when I first took him on as a manager was he said "Well, what do you want to do?" and I said "I wanna become an artist that can perform and do well without having to rely on having hit records or maybe carry on performing and then if the right song comes along and it turns into a hit, it's very nice, but that's a bonus, you know, because in the meantime you've built a career in trying to become a good entertainer … and that's what I've tried to do. kk: And he kinda tried to push you into movies and into tv a little bit, too, right? 'Cause you kinda had that movie star look about you. BJK: Yeah, at one point, and I don't think I wrote this in the book, he wanted me to go to RADA, the Royal Academy of Dramatic Art, but they're not like my kind of people that go there. There were people like Albert Finney, people like that that went there, you know, and I didn't think that was "me". I just wanted to be out on the road. And I actually wanted to do more rock than I did but I didn't get the chance. Rock songs are hard to come up with, I think. BJK: Well, I'll be honest with you, I think at times he gets a bad rap. People have had a go at him saying that he made bad deals for The Beatles and all the merchandise and stuff like that … but the bottom line is he wasn't much older than any of us … and he had no barometer … because nobody had ever done merchandise, you know what I mean? It was a whole new business. And as a manager, Brian was like a man who would come to my gigs unannounced and he would come backstage after the show and go over the whole set list with us … say what was good and what was bad and what he thought about the lighting … very, very conscientious in that regard. kk: You speak very highly of him in the book and you seem to have a lot of respect for him as a manager. BJK: Yeah, I respected that because I learned from it, you know? Something else … when I first met Brian and The Dakotas, there was one thing that The Dakotas insisted upon before they agreed to work with me, funnily enough, because I don't think they really wanted to work with me … but they said "We don't want him wearing all the outrageous stuff that he wears. And we think he should put away the Christmas Tree" … which I thought was funny, you know, but it was Brian who took me to a tailor and dressed me the way I did and it worked. That's all I can say. I was amazed when I did The London Palladium because to me, that was on a par with doing The Ed Sullivan Show in America and I had this suit made for The Palladium and an hour before the show Brian walked in the dressing room and he said, "No … THIS is what you wear at The Palladium." And he had a different suit made altogether. Let's face it, I was a young kid, and he made me successful so I wasn't gonna argue with it! kk: But it sounds like it was kind of a mutual respect as well, from the way I read it in your book … you trusted him by placing your career in his hands and he came through for you and he wanted you to succeed. BJK: He did come through for me … the only thing that I do have regrets about is that I wanted to make changes and I wanted to do more uptempo songs and I wanted the people to see that I wasn't just a one-trick pony or a one-hit wonder … I wanted to do other things … and George Martin and Brian were always saying to me, "You've got a winning formula … stick to it" and my opinion was that the time to change was when it's hot … everybody has a few records that don't make it … and I really think that had time gone on, and if Brian would have lived, I think people would have seen that happen more than what did happen. I mean there are SO many hit records that sold well in England that never even hit the shores of America … I mean, I released "1941", which was a Harry Nilsson song, before Harry was known at all … but unfortunately Brian wasn't around then … Brian had just died … so it got lost and I must have been one of the first persons who ever did a Bee Gees song, "Town Of Tuxley Toymaker" … so I was getting into different things and I always put singles out in England because I wanted people who were interested to hear what I was doing. kk: Now, were you still associated with him at the time that he died? kk: So what was your initial reaction to that … when you first heard that Brian Epstein had died? BJK: I was devastated, for a number of reasons. And I will say that I was drinking and partying and I wasn't really doing the right thing regarding my career at the time … and it made Brian feel sort of negative toward me … maybe not negative, but I don't think he showed the same interest toward me … and shortly before he died, he came to see me actually, and I was in Liverpool, doing a Shakespeare Theatre, and I was there for a week and he came to see me on the first night and he said, "You've really got yourself together … I'm very proud of you" because I had stopped drinking and stopped smoking cigarettes and he said "I'm going to America. When I get back, let's start working on a new project." And I got a letter from him on that Saturday and he apologized, saying he wasn't coming back because his father had just died recently and he would see me when he got back from America … and then, unfortunately he died, and that was it, you know. It was a very, very hard time for me because Brian had been very protective and I was open to all the rogues in the gallery. And it takes time to learn how to deal with it. It took me a long time. kk: Well, even The Beatles had a rough time and this was when they had first gone off to India to study with The Maharishi when this happened … and obviously they had grown into this whole different direction ... they had stopped touring ... and maybe on the surface it looked maybe they didn't have much need for Brian's services anymore but if you watch those clips you can see that they were devastated. BJK: Let me tell you something, and I'll be honest with you, but at that time … and I hate to say it … but I thought The Beatles were going crazy! When they went off with The Maharishi and all that, I thought I've got to find my own road, sort of thing, you know. But you know, I also think that my relationship with The Beatles was that I never held on to this coattail … if I saw them, I saw them. Like Paul, when he got the Key to the City in Liverpool, he invited me along. And when they brought out albums, I'd get invited to the parties that they'd have. But I never ever pushed it. Even like I remember when Paul bought The Buddy Holly Catalog, he called me up on the phone and he said "You can do anything you want" and I thought that … you know, I was such a prude at the time … I thought that was sacrilegious, you know … I've always been a person who feels that way about records … certain songs ... you shouldn't try to do "River Deep, Mountain High" and you shouldn't do "You've Lost That Lovin' Feelin'" and how can you better these songs? How can you better Buddy Holly? That was my feeling. kk: You speak very highly of Brian Epstein … but you don't seem to be a very big fan of George Martin, at least as he related to your own personal experiences in the studio … or at least that's how it comes across in the book. Was he difficult to work with? He seemed to be very set in his ways, knowing exactly what he wanted … which wasn't always necessarily what YOU wanted as an artist. BJK: Firstly, you've got to look at it from the eyes of a kid from Liverpool, being 19 years of age and going to London where people from London at that time were not acting favorablely toward people coming from Liverpool … there was just this reputation associated with it. And people would say "Where are you from" and you'd say "Liverpool" and they'd jump back at you … to me, the Liverpool people are the salt of the earth. So you go into the studio … and it's the first time, really, and somebody who's very sophisticated … and talks very sophisticated … and his this tremendous knowledge of music and you're soft-taught, you're bound to feel a little intimidated. BJK: And that's what I felt like … I felt like I never really performed to the top of my game because of that, in the beginning. And he made a comment about me not being the greatest singer, and over the years, I would have liked to have worked with him again because, as time went by, you get more experience. And by the time I was doing "Little Children" and "From A Window" and "I'll Keep You Satisfied", I was more confident … then with "Bad To Me" … we started recording "Bad To Me" in the morning and we knocked off at lunch time and he said to me "We're going to put it into the key of E" and I was saying to him the whole time "Well, I think it should be in D" and he said, "Well, I know what your vocal abilities are … you can do it in E". And I had a different view of the song … because I thought that if I did it in the key of E, I'd be shouting the song … but if I did it in the key of D, it would give it a softer and more gentle, charismatic approach to it. That was how I saw it, even as an untrained singer. So what happened is that after lunch, I sort of said to George … well, I'll tell you what did happen … we recorded "I Call Your Name" … I said "Let's give it a break … we'll come back to it" and we recorded "I Call Your Name" in about twenty minutes and we went back to "Bad To Me" and I said, "George, just let us try it in D" and we had it in like three or four takes. I'm not a wise guy, you know, or anything like that, but that was "Bad To Me". kk: And I think hands down today most people would agree that that's their very favorite record by you. I think that if you took a poll today most people would agree that their very favorite record by you is "Bad To Me". BJK: Yeah, well, I'm glad I did it and I'm glad I did it the way I did it. kk: And I'm glad you did it and that you stood your ground ... because what a GREAT record that turned out to be. BJK: Well, being this kid from Liverpool, making your second record, it's very difficult, you know, or well it was back then. The business is … when you think about it, back then we were making an A-Side and a B-Side in an hour sometimes. It's not like people who spent two years making an album … it wasn't like that then. BJK: It's weird but I think that The Beatles became great because of that. They had the time … I always say it's like you see these documentaries on Muscle Shoals and the guys from California [The Wrecking Crew] and they were great … but they were playing in the studio together every day. And you've got to get better if you do that. And I think The Beatles became … they were always great performers … but I think they became an even better band through playing in the studio all that time together. kk: I got the sense from your book that you never really seemed to get along well with The Dakotas, the new band Brian picked out for you ... you never never really had the support from them that you should have had ... meanwhile, you had to let The Coasters, who were more of your "mates", go. These were the guys that you came up with. And it seemed to be more of Brian's decision to replace them with The Dakotas ... kind of at his urging that you needed a better back up band. Did any of them stay in music for any length of time? How hard was that to let your mates go after getting you to the point where you could catch the eye of a savvy business manager like Brian Epstein? It's like you kinda had a whole band of Pete Bests that you had to let go when all was said and done! This had to be a difficult time. BJK: There was more to it than that ... it was kind of heading that direction anyway. My cousin Arthur now lives in Florida and he was saying to me at the time about how he was trained to be a printer because he wanted a trade and then two years later he turned professional and hit the whole of his life. George Braithwaite, the bass player, he was a carpenter and he got into a carpenter business and Ray Dougherty was a motor mechanic and he didn't want to pack it in … and that was really the reason … and a lot of people have said that some of the experiences I've had, I wouldn't have had had I turned professional with them. kk: It just seems like you never really clicked with The Dakotas, right from the beginning ... like they couldn't accept you as the lead singer fronting the band ... and yet certainly The Dakotas must have enjoyed the success they were having with you fronting the band! Why didn't you seek out new musicians more to your liking that would have given you the support you needed on stage and in the studios? Wouldn't that have made you happier as a performer ... and perhaps extended your career by having more input into the song selection and arrangements. Ultimately … and it took a long time before you'd finally had enough and fired The Dakotas ... I honestly don't know why you didn't do it sooner … but when you did, you picked up The Remo Four at that time as your backing group. BJK: I started to work with The Remo Four … and really it was no big deal … I mean, they'd been in Hamburg and when they came back to England and they'd not been working much and so I started working with them. I'd done a lot of work with them and then Tony Ashton and Roy Dyke, they formed Ashton, Gardner and Dyke and had a hit with "Resurrection Shuffle". kk: I was surprised to read that in your book … that was a big song here in Chicago ... Top Five! 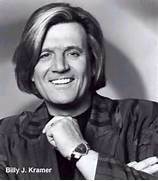 We'll wrap things up with Billy J. Kramer tomorrow in Forgotten Hits ... don't miss it! SWEET 16 - Show Me The Money!